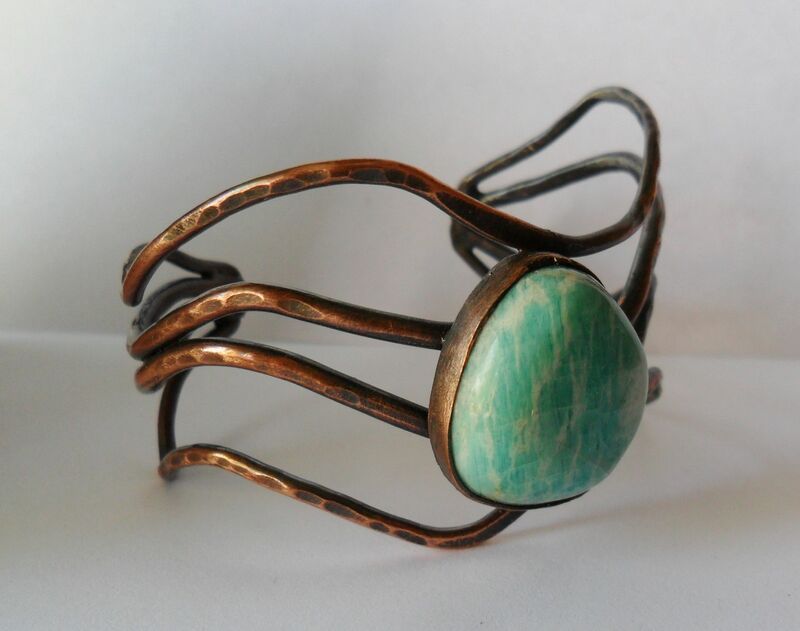 Copper wire cuff bracelet, lightly hammered and a patina added to darken the metal slightly. Wave design to the wire and adorned with an organic shaped blue green amazonite cabochon. Lightly polished to a shine. This item you can choose your own stone. Make it uniquely yours! 5 3/4-6 inches long and roughly 2 inches wide.